The venue for the John Arden Award is the Townhouse Bar, not the Crane Bar! Apologies. The ticket price for the play 'In the Shadow of a Hero' has been changed to 5 euro. 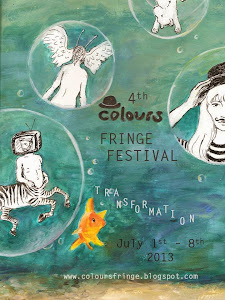 Colours Fringe Festival 2013 takes place July 1st - July 8th. The festival will be launched on June 8 at 7pm in the Townhouse Bar with plenty of entertainment. All welcome! Please note that The Breakfast Club has been cancelled. Apologies. 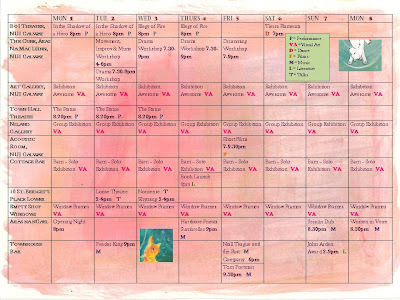 Please check the Children section for updated info on the Children at Colours events. 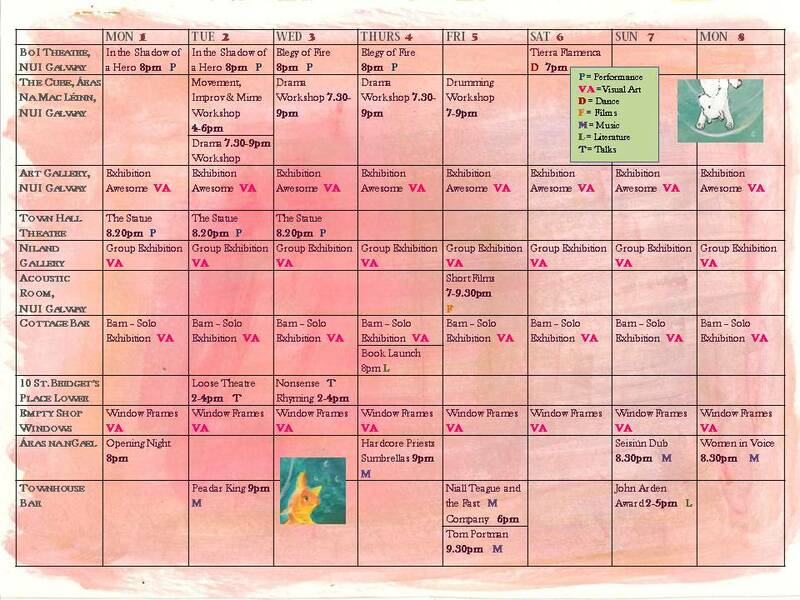 Teatr A Part's Hourglass on Friday, July 6th, is cancelled and has been moved to Saturday 6pm. The launch of the third Colours Fringe Festival on Friday, June 8th, will begin with an Olympic giant rat race through Shop Street. Starting time is 1pm outside Brown Thomas with eight countries represented. At 7pm Margaretta D'Arcy will officially launch the multi-discipline arts festival programme in Kelly's Bar, Bridge Street. This year's programme features many local arts practitioners as well as international acts from Denmark and Poland. All are welcome. 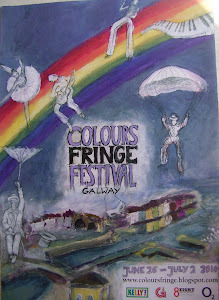 The 2012 Colours Fringe Festival runs from the 1st to the 8th July and is now seeking local artists to be part of this year’s programme. The closing date for applications is May 20th at 5pm. To enquire about making an application, please email blackcjf@hotmail.com. If you wish to view events from the last two years, scroll down to see previous entries (for 2010) and go to the 2011 page in the top bar. 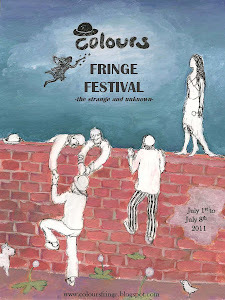 COLOURS Street Theatre Company presents COLOURS Fringe Festival 2013 from July 1st until July 8th. Over the past thirteen years COLOURS has been driven and sustained by the vibrant energy of people from all walks of life.